Universal is a park I like to occasionally tack on to our Disney World trips, if only to see the new Harry Potter stuff which is worth a visit for anybody. I've learned a lot in our visits, so here are my tips on adding Universal to a Disney World trip. Universal Orlando is similar in size and composition to Disneyland in California. There are 2 theme parks (like Disneyland, one of the parks is confusingly named the same as the overall resort), 4 hotels and an outdoor shopping area. Both theme parks (Universal Studios and Islands of Adventure) and the shopping area (CityWalk) are located within walking distance to each other. Don't embarrass yourself like I did and ask the bus driver how to get from the theme parks to CityWalk. Once you get there, you'll realize how ridiculous that is. Everything is so close. On multiple visits, we've been able to finish the main attractions in each park in just a part of a day. Universal doesn't take a lot of time, especially if you have Express Passes and/or take advantage of single rider lines. We've rarely seen many babies or toddlers at Universal and for good reason: Universal is clearly geared toward older kids and adults. All of the rides are much more intense and people with little ones will likely not find it worth their time or money. 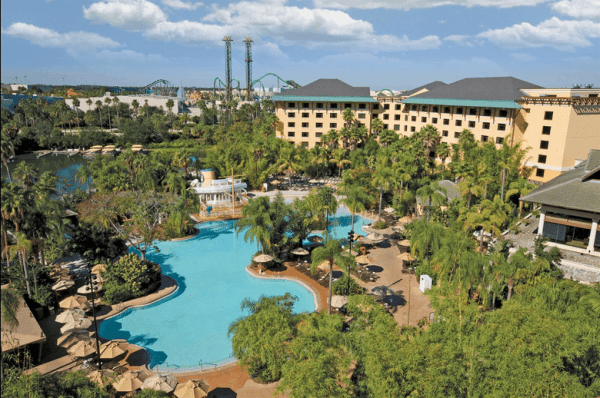 There are 3 hotels on-site at Universal which offer guests full on-site benefits - Royal Pacific, Portofino Bay, and Hard Rock Hotel. *The park that offers early entry varies so you'll need to check which park is available for your trip dates. During peak times (like Thanksgiving and Christmas weeks), they often open both parks for early entry. The unlimited Express Pass which guests of the 2 Premier hotels (Portofino and Hard Rock) and Royal Pacific get is offered on most attractions. Express Passes allow you to enter a separate queue, much like FastPass, except that you can get in line immediately and don't have to return later. It's not a "front of the line" pass; it's just a separate line that sometimes has a wait, though it's almost always much shorter than the normal line. Even when we visited during a busy time we were able to tour Universal without Express Passes. Below, I share touring plans to be able to do Universal theme parks without an Express Pass. There's also a 4th hotel called Cabana Bay Beach Resort that opened in 2014 and is more on par with a Value Resort at Disney World. Since it features both standard and suite rooms, it's most similar to Art of Animation. Cabana Bay has all of the same perks that are listed above, except that guests here do not get Express Passes (which is a big difference!) or priority seating at restaurants. 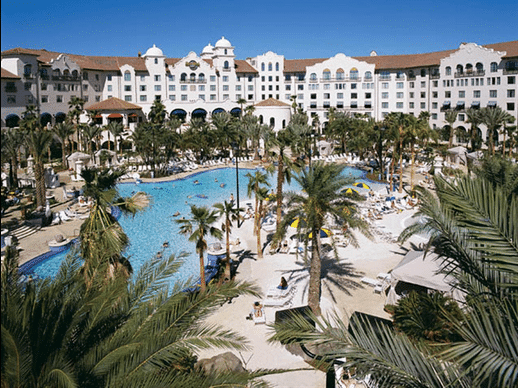 There will be a 5th hotel opening in the summer of 2016 called Sapphire Falls Resort. It will be considered a Preferred hotel and will be Caribbean themed with 1000 rooms, including 77 suites. Sapphire will not offer Express Passes or preferred seating in restaurants. For even more info, you can check out Universal's hotel comparison charts. 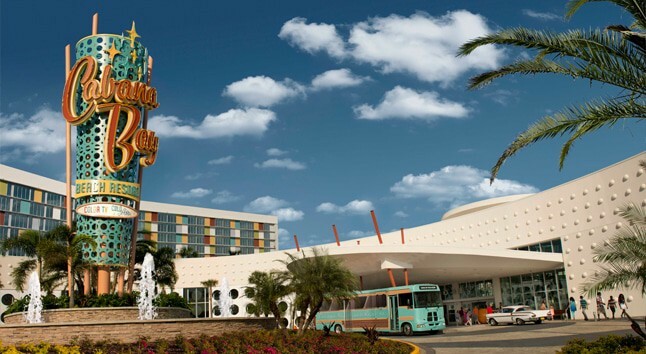 Traveling between the on-site hotels isn't as big of a deal as it is at Disney World since everything is much closer. Every hotel has the option to take a bus or walk on a paved path. All of the resorts except Cabana Bay also have water taxis available. The water taxis pick you up and drop you off at the hotel dock and in the CityWalk area. Each hotel has its own water taxi (except Cabana Bay) so you don't have to share with other resorts. They come more often than the buses. The buses arrive every 30 minutes except when they don't (buses at Cabana Bay arrive more frequently). During our on-site stay, they would occasionally skip so we would end up at the bus stop for around 45 minutes or so. The buses are shared between resorts so it's not a direct route between hotel and the Universal drop-off area, but the stops don't take long. The walking paths are pretty easy to follow. Our only issue was that a deluge of rain caused a lot of standing water along the paths which is why we ended up in a pedicab to transport us. For people staying at Hard Rock Hotel, walking is almost always going to be the best option. For the other hotels, it's a bit further but definitely doable. In the sections below, I've detailed the order I'd suggest visiting attractions if you're spending a whole day at each park. However, there are lots of different scenarios that could affect the way you tour. 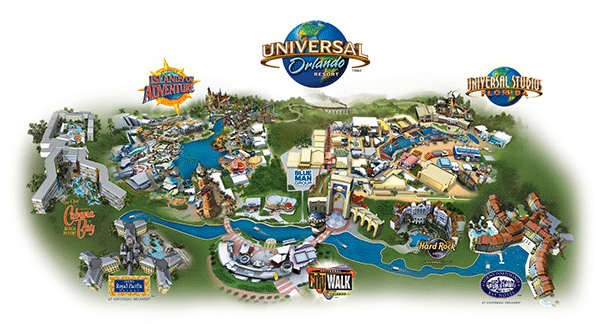 1 day plan - visit Universal Studios first, go to the first 8-10 attractions on the list, board the train to Islands of Adventure and do the top attractions there. Make use of the single rider lines at IoA to reduce wait times. 1 day plan - go to whichever park is opening early and do the main attraction there (Forbidden Journey at Islands of Adventure or Gringotts at Universal), do the other top attractions in that park, ride the train to the other park and make use of Express Passes and/or single rider lines to avoid long waits. 2+ day plan - you won't need much of a touring plan other than making sure you visit the Harry Potter attractions at the beginning of the day (including taking advantage of early entry) or you can use single rider lines later in the day for those since they don't offer Express Passes. Unlike Disney World which allows you to take your bags on rides, many rides at Universal require you to put your items in free lockers (free for up to 45 minutes) before boarding. This can be pretty inconvenient since you have to stop before and after riding. So while I tend to take a backpack to Disney World parks, we pack lightly when visiting Universal and try to only take things in our pockets. There are also lockers available to rent for the whole day if you'd like to have access to some items. For a spreadsheet view of both of the touring plans below (plus a 1-day plan for doing both parks), see this Google spreadsheet. The first of two theme parks is Universal Studios. This park can best be described as having a lot of indoor rides that show an extensive pre-show, require 3D glasses and - at some point - spit water on you. Oh, and it also happens to have The Wizarding World of Harry Potter - Diagon Alley, the best themed area I've ever seen in any theme park. Here are the rides available at Universal Orlando listed in the order that I think you should visit them, availability of Express Passes and single rider lines, height requirements and a description of each. 2 Transformers Yes 40" Yes Amazing ride that's just like Spiderman at Islands of Adventure. 3 Hollywood Rip Ride Rockit Yes 51" Yes Roller coaster with straight vertical track at the very beginning, where you get to select some music to distract you from the fact that you're launching straight into the sky (see this page about how to unlock secret songs). 4 Despicable Me: Minion Mayhem Yes 40" Out of all of the "watch this pre-show, put on some 3D glasses and then it'll spit on you" rides, this is 1 of the best. 5 Shrek 4-D Yes Pre-show, 3D glasses, spit on you....but in a swamp. 6 Revenge of the Mummy Yes 48" Yes If Space Mountain, Rock n Roller Coaster and Dinosaur had a baby, it would be this ride. My favorite of the non-Harry Potter attractions. 7 Terminator 2: 3-D Yes Combo of movie sequences and live actors and really awful. If you like Terminator movies, you may enjoy it more than I did. 8 E.T. Adventure Yes 34" Peter Pan's Flight but with bicycles. 9 The Simpsons Ride Yes 40" Soarin' but really crazy. Motion sickness alert on this one. 10 Men in Black Alien Attack Yes 42" Yes Buzz Lightyear's Space Ranger Spin but dark and more violent. 13 Fear Factor Live (seasonal show) Yes Check schedule for show times. This show is true to the TV show. People who want to be a contestant should show up an hour early. People who want to watch should show up 10-15 minutes before the show begins. 15 The Blues Brothers Show No 12-minute show featuring songs from the 1980s movie. Warning: there's no cover here so the sun or rain could be an issue. 16 TWISTER - Ride It Out Yes This attraction is like standing in a room where some wind blows and a bit of water sprinkles and it's supposed to simulate a tornado but doesn't. Exactly like that. 18 Universal's Horror Make-Up Show Yes Funny behind-the-scenes look at horror effects. Check schedule for show times. 19 Animal Actors on Location Yes Animals perform live. Check show times. Arrive 15 minutes before show begins. 23 A Day in the Park with Barney Yes Indoor show featuring Barney and friends. There's also a play area nearby. 24 Night show: Universal's Cinematic Spectacular - 100 Years of Move Memories (seasonal show) No Nighttime show on the lagoon celebrating movie history. Show features fireworks, water effects and music. Arrive 30-45 minutes for the best views. Islands of Adventure is the park where the first Harry Potter expansion appeared (Hogsmeade). And this park can also be very wet with 3 rides that will soak you. Pack a poncho. Here's a rundown of the best order for visiting the attractions, Express Pass availability, height requirements, single rider options, and a description of each. Note: if you're staying on-site and Islands of Adventure is the early entry park for your trip dates, you should do Forbidden Journey first as part of your early entry into the park. If you're staying off-site or if this isn't an early entry park during your trip, you should do Forbidden Journey using the single rider option or at the end of the day when crowds decrease. 1 The Incredible Hulk Coaster (closed until summer 2016) Yes 54" Sometimes offered Really intense and fun coaster that takes off before you even have a chance to work up the anxiety. 2 Amazing Adventures of Spider-Man Yes 40" Yes 3D ride with ride movement and special effects (also, just like the Transformers ride). 3 Dr. Doom’s Fearfall Yes 52" Yes Like Tower of Terror but outside. 4 Dudley Do-Right’s Ripsaw Falls Yes 44" Sometimes offered Flume ride like Splash Mountain but wayyy more intense. You will get wet. 5 Popeye & Bluto’s Bilge-Rat Barges Yes 42" Kali River Rapids but uglier and crazier. You will get wet. 6 Pteranodon Flyers No 36" Outdoor flying gondola cycle thing. I don't know how else to describe it. We wanted to do it but guests taller than 56" must be accompanied by a child between 36" and 56" tall and there were no little kids available to rent while we visited. 7 Jurassic Park River Adventure Yes 42" Sometimes offered Splash Mountain meets Dinosaur with you getting wet in the end (especially if you're in the second boat). 9 Eighth Voyage of Sindbad Stunt Show Yes Similar in style to Indiana Jones show at Hollywood Studios. 20 minutes in length. Check show times and arrive 10-15 minutes early. 10 Poseidon’s Fury Yes Walk-through attraction with live action and special effects. 11 One Fish, Two Fish, Red Fish, Blue Fish Yes Dr. Seuss version of the Dumbo ride. 13 Cat in the Hat Yes 36" Winnie the Pooh ride with whiplash. 14 High in the Sky Seuss Trolley Train Ride! Yes 40" The PeopleMover of the Seuss Landing section except with a much longer wait (usually). 15 Storm Force Accelatron Yes Spins in circles "egg beater" style ride. 16 Dragon Challenge Yes 54" High speed coaster in the Harry Potter section. This ride no longer has dueling coasters (2 intertwined coasters coming within 18" of each other going 60 mph) due to safety reasons. 17 Flight of the Hippogriff Yes 36" Kid coaster similar to Barnstormer in intensity. 18 Harry Potter and the Forbidden Journey No 48" Yes Flight simulator type of ride which includes lots of movement with visuals. This is the only ride in 10 days of visiting theme parks that made our family a bit motion sick. Don't drink butterbeer before going on this. Like Disney theme parks, Universal Orlando has a Child Swap that allows people with little ones to take turns riding things that are too intense while part of the group waits with the non-rider(s). In fact, many people think the Universal version is much more convenient than Disney's. Alert the attendant at the front of the line queue that you want to Child Swap so they can direct you to the right place. The whole group will wait in the line and then the non-riders will be able to wait in a separate section while the first part of the group rides. When the ride is done, the second part of the group rides. Keep in mind that many of the more popular attractions also have a single rider option which may sometimes work out better if you have little ones that won't ride. Also, just another reminder that Universal Orlando isn't a great park for little ones so if you anticipate needing to use Child Swap much, you might want to wait a few years until your child can enjoy more attractions. The CityWalk area of Universal Orlando is comparable to Downtown Disney with lots of shops, places to eat and some entertainment options. Among some of the things available at CityWalk are the largest Hard Rock Cafe in the world, Blue Man Group performances and several chain restaurants that might be a welcome sight if you've been eating out at unfamiliar places throughout your trip. The environment is much more of a party vibe and - except for the smoke - we really liked it. There was lots of music playing, the ability to walk along the water and plenty of places to get a drink. Eating at Universal isn't nearly as difficult an ordeal as it is at Disney World, although there is no central reservation system which can be confusing. Like Disney World, Universal has restaurants that fall into the Counter Service and Table Service categories. The Counter Service options at Universal aren't known for being great, while many of the Table Service restaurants are really good. The Table Service meals used to be conveniently available to book through OpenTable, but now they are available to book online. There are also a few character breakfasts and dinner experiences available on some days which you might be interested in booking. Availability is often easy to find, even on short notice. 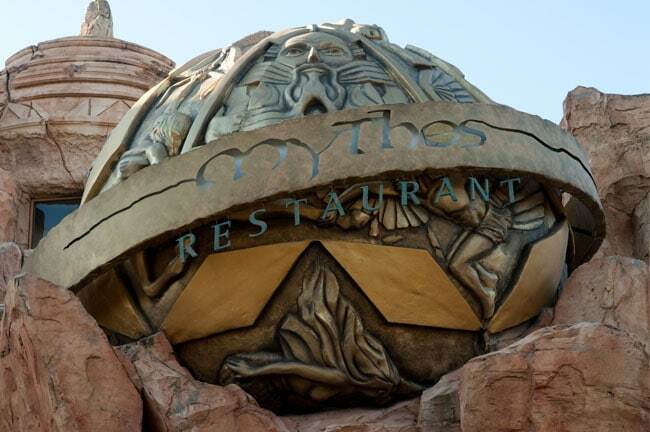 Even Mythos - a restaurant in Islands of Adventure that was once named the best theme park restaurant anywhere - had lots of openings when I was making reservations just minutes beforehand. I haven't eaten at many of Universal's restaurants, but I will say that we've had great experiences at Mythos (in Islands of Adventure) and Margaritaville (located at CityWalk). If you want to ride Hogwarts Express, you'll need Park-to-Park tickets to go between the parks. I highly, highly recommend it if you're at all interested in Harry Potter. It's an attraction worth seeing all on its own. If you're staying off-site, you may be tempted to add the Express Passes to your tickets which will let you skip most of the lines. I'd suggest not buying that add-on ahead of time and instead waiting until you're there to see if you need it. If lines are long, you can always upgrade from inside the park. Mousesavers.com's Universal ticket info has lots of info on ways to save on park tickets. If you want to stay on-site at both Universal and Disney World during your trip to Orlando, I suggest beginning at Universal and then moving to Disney World. That's because doing it the other way will likely feel like you're taking a step down. Some may disagree with that opinion, but this is WDW Prep School and not Universal Prep School, so you know how I feel about that. If you plan to stay at Disney World but just visit Universal for a day or two during your trip, you will have to figure out how to get there. Rent a car on your Universal day(s) - there are a few places to rent a car at Disney World. Just be sure to consider the $20/day parking fee at Universal when determining your best options. Take a taxi - this is probably the most convenient option, but not the cheapest for many people. Fares run around $32-45 each way. You can use the Mears Taxi Fare Estimator to see what your cost would be. Use Uber - if you have the Uber app installed, you can have a driver take you for about $30-40 each way, depending on where you're starting, if surge pricing is in effect, and which type of Uber car you request. Get more info on how Uber works. Take a shuttle - Mears has shuttles available for $20 roundtrip which can be booked by calling 407-423-5566. If you have more than 3 people, 1 of the other options above will be less expensive and more convenient. If we had an 8+ day trip and wanted to stay on-site at Universal, I'd do 2 days at the Hard Rock Hotel and spend 1 day at each Universal park, but would definitely include Park-to-Park tickets in order to ride Hogwarts Express. If we had a shorter Disney World trip that included us staying at a Disney World resort but wanted to spend 1 day at Universal, I'd pick a weekday in the middle of our trip to go to Universal by taxi, and then start touring at Universal, and then go to Islands of Adventures. I highly recommend that anybody who has any interest in Harry Potter make time for at least 1 day at Universal to at least see those attractions. It's well worth your time. You can get started by submitting a quote request for your trip dates. Have questions or thoughts about visiting Universal during a Disney World trip? Feel free to leave those in the comments. Thank you for all the great tips! I have a question about the express passes. If we book one night at one of the premier hotels and park tickets for two days will we receive express pass privileges both days (check in and check out days)? Yep. You can arrive early on day of check in and the hotel will hold your bags and then take them to your room when it’s ready – meanwhile, you can grab your fast passes and hit the parks. Fast passes expire at park close on the day of check out. THank you for the wonderful tips! I have a 10 year old who really enjoys the HP movies. That would be the only reason we go. But pricing it out, even for 1 day, seems to be in the $700 range for our family. It almost makes more sense (financially) to just add another WDW day and pay much less. I would say it’s totally worth it. If your kid likes HP Super Heroes and Dinosaurs (who doesn’t? ), he’ll have a hell of a time. I know it seems financially more favorable to add an additional Disney day but then you’ll just have “another day on MK” (there is nothing wrong about that for sure!) , rather than a new experience on a different park. We took my 11y child last year to US and IOA. Now, she’ll rather do those two parks than Disney any day. I know it’s a matter of preferences but you should live them for yourself and then make your own opinion. In mine they rock! Hi! Great website, thanks for all of the info. Looking for some advice…I am planning a family trip November 2016, arriving Friday 11/11 in the evening and departing either Saturday or Sunday 11/19 or 11/20. We’d like to visit Universal, especially for the WWHP stuff, but also the other rides – probably 1.5 or 2 full days. I’m willing to switch hotels, (but only once), so we could start or finish at Universal. That gets us the extra hour and the express pass, but puts us there on a weekend. Are we better off going that route, or picking a less crowded day during the week and giving up the extra hour and express passes? Any input is appreciated! thanks! We are staying at Hard Rock checking in on Jan 10th and checking out Jan 14th, we will be spending 11th and 12th at Universal. I have booked the accommodation through work as I am a travel agent but I am tossing up what is the best plan with tickets, we definitely want park to park tickets and we want express passes as well (thinking the unlimited option). I was just going to book the tickets direct on the website. As we are staying on site will we automatically get early entry into whatever park is offering it on our dates? Because when I was looking at the hotel and ticket bundles the premium hotels said something about the express passes included whereas the others said early entry. My main concern is getting early entry into Wizarding World. Any help would be appreciated! If you’re staying at the Hard Rock, you will enjoy both benefits: Express Passes AND early admission at the designated park for the day. Cabana Bay and Sapphire Falls only offer early admission, but not Express Passes. They offer tickets and shuttle for one day two parks for $179.10. Has anyone done this before? What was your experience like? It’s a shuttle service which you book 24 hours in advance. I think it’s a reasonable offer…opinions? We are planning to incorporate Universal for one day only during our Disney trip in December and since we anticipate that it would be a busy time of year to go, we’ve always planned to upgrade and get limited express passes with our park tickets to make the most of our day and tackle as many attractions as possible. But once we’ve worked out the costs of getting express passes on top of our tickets vs booking a one night’s stay in Hard Rock, staying on-site actually worked out to be a little bit cheaper! Not only do we get to stay in an awesome hotel but we would also still get the benefit of the express pass…and BONUS! We get UNLIMITED express passes and early entry to Harry Potter World. And by the way, these benefits are valid for both our check in and check out days so if we really want to, we can extend our Universal day the next day but still get the early entry and unlimited express for free! IMO that is a good bang for our buck and definitely worth considering even just booking a one night’s accommodation in a Universal on-site hotel. May I ask how much you spent on food (avg. per person per meal)? we are planning a trip for spring break 2016. we are truely interested in the harry potter stuff but other than the marvel area and the suess area (for the almost 4 year old) the kids going (9,10,&11) are not much riders of the big stuff or total non rider for the oldest. we are planning 2 days for universal with the park to park. i am now wondering if that is even worth doing more than 1 day. also in the marvel area do they have characters walking around that you can get pictures with as a youngest is a bit super hero obsessed and will be more excited to meet capt america and others than mickey mouse when we are at disney on the other days of our visit. I have done Universal a few times with my family. Islands of Adventure have superhereos show up a various times. At the time we were there, you can get your picture taken with them but there weren’t any official photographers there like at Disney. At Universal you’ll see Men In Black, the Simpsons, Scooby Doo and Friends, Shrek et all, the Minions, etc. If there’s a ride for it then there is a character for it. Also a trolley goes through every so often with “old time” characters such as popeye, Betty Boop, etc. Thank you for this excellent report! We are planning to spend a day at Universal during our next WDW trip because my kids (and I) LOVE Harry Potter and will be tall enough for most rides. You are my go-to resource for WDW so it was such a delight to see you put this together, too. You certainly know your readers well! My family is visiting over fall break, so the Halloween party will be taking place and parks will be closing early. My children are 13 and 9, do you think two days park to park with the unlimited pass will be too much? I am nervous one day may not be enough? What are your thoughts? Well, with 3 whole weeks, I assume you’ll be able to take everything at a nice, easy pace, including Universal. What a nice luxury! Awesome article! I wonder if you can give more info about the backpack rule for rides at US/IOA. We are also long time Disney people and always have each kid pack a small backpack with poncho, sunscreen, water and snacks which they carry on their own! My purse is also a backpack. Is the backpack rule more for the roller coasters than any other type of ride? Anyone who can elaborate would be fabulous! If you’re staying on site, don’t bring any bags in – just a lanyard with your ticket/room key. I purchased a “flat fannypack” that’s used for jogging for my cell phone. A large number of rides don’t allow “loose articles.” The staff will have you empty your pockets and will make you get out of line – not worth the hassle! If you’re staying offsite, pack ONE bag with essentials and rent a locker for the day. This is not just for the roller coasters – most of the 4D simulation rides do not allow loose articles, either. It’s a very long list – trust me – don’t pack bags!! Hi- can we work around the lockers if we use the family room. Ie. My husband and 1 son go on while me and my other son hold “stuff” then pass it off to them and go on ourselves??? Hi there. We are planning a trip for 1 week in Aug of 2016 to Universal (both parks), Seaworld and Aquatica. We have 2 kids 15 and 13. Looking to see if we should buy the dining plan? not sure how expensive it is to eat lunch and dinner at parks or City Walk. Also, can we do one day at each park and see it all? My family has done Universal twice thus far and doing the math the dining plan hasn’t added up. We prefer paying directly now. You can certainly do everything as long as you prioritize. I’ve gone three days each time and we usually spend day three doing repeats of rides we loved or exploring the details of Diagon Alley and Hogsmeade. Looking back, we could probably do two days without issue. 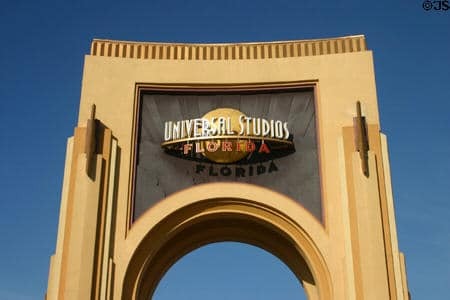 Is there a website, book, or other resource you recommend for planning a trip to Universal only? We used your WONDERFUL site for planning our family Disney World trip and it was so useful to us. Now my husband and I are planning a weekend trip for just us in December, and I’m not sure where to start. Thanks! We are doing one day at universal for the first time – we have a toddler so I really just want to go to see the Harry Potter section – if we do the single rider lines for Forbidden Journey and Escape to Gringotts – will we miss out on things in the queue? Do you know if I need to purchase the US/IOA park-to-park tickets while making the onsite hotel reservation in order to get the perks (1 hour early admission and express passes, etc.) or can they be purchased separately? Thanks so much for all your advice Sharon! I agree whole heartedly that US is a step down after WDR. We did this last year, and wished we did it the other way around. So this next trip, we’ve decided to do 5 days onsite at WDW, transfer to Hard Rock to do US for 3 days, and then back to WDW for 6 days! Will be our third trip to WDW from Australia in 4 years. Really wish we were closer! I’m not sure if you were aware of this, but you can actually include transportation from your Disney resort to your US resort if you book a package. I book a lot of my Disney clients this way, but they have to do Disney first and then Universal. 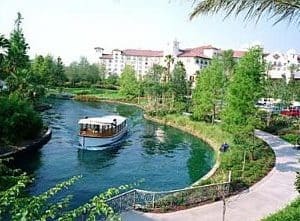 The transportation add on includes transportation between your Disney resort and your US resort, and then transportation from US resort back to the MCO airport. It costs around $173, but totally worth it! Let me correct something I wrote….the $173 for the transportation between WDW and US was for a family of 5. So it’s about $35 per person to include the transfer. Our family will be visiting Disney this June. This will be our second time. We are staying on site there and doing the dining package. We are planning to visit Universal During our stay. We are wondering if one day would be enough to hit the highlights in both Universal and Island of Adventure. I know our children will love the Harry Potter area. We want to make sure to have enough time for that. Should we go for more days (2) or will we be okay with 1? We are in Orlando now… 1st time and fantastic! My wife and I have an 8yo and a 6yo. 1st day at Universal today and I suggest you leave time for at least 2 days if you want to do rides other than Harry Potter. If you JUST want to do all the HP stuff you will probably get away with 1 day. Just remember you will spend several enjoyable hours just wandering around Diagon Alley and Hogsmeade! Your article was very informative. My boyfriend and I are taking our very first vacation together and I have never flown before so I’m super nervous. Overall we’re going really just to be involved with the Harry Potter aspect or Orlando because we are super obsessed, our living room and bedroom are Gryffindor themed! Anyways, your suggestions will be thoroughly noted in my planner! Thank you again! We are planning a trip to Disney/Universal in late May. We are doing 3 days of Disney – then 2 days of Universal. 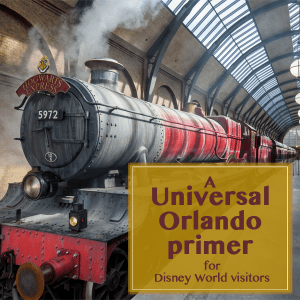 Does Universal pick us up from WDW resort – to go to Universal resort? If not, what is the most cost effective way to do this transfer? The “Incorporating Universal into a Disney World trip” section should answer your questions on that. We are about to do the same thing. We are doing 3 days at Disney and 2 days at Universal. My son loves HP so I am so excited to take him there. Wish we had enough days to do at least 4 days at Disney but we don’t. Anyway, I have looked into getting from our Disney Resort to our Universal Resort. We have two adults and 2 kids. One kid is still in a booster so I have to consider that. Since this ride is the only time we will need a booster, I hate to bring one along. So if I order a Taxi, most of them will include the booster, if requested. So because of that, along with I feel it is the cheapest, that is what I plan to do. Hi. Love your site Shannon! We are traveling with 3 boys (3,8,9) – we have one day to spend at Universal. Knowing we have a 3 year old and we’ve never been to Universal. Would you recommend we just stay on the IOA side? Older boys like Harry Potter but worried we might be trying to do too much with both parks. Thank you for your thoughts. Hello! Can someone recommend what order to do the HP rides in? We are not staying on property and would like to get them all in – we only have one day at Universal and won’t be getting the Express passes…. The order that I wrote them in is the order I’d recommend. Can someone comment on the importance of the universal express pass and/or the unlimited universal express pass? It seems like you would get the unlimited pass or nothing at all. Do all members of your party need to get them, or just the ones riding the really popular rides? Thanks! Does Forbidden Journey cause motion sickness because of the motion it simulates or is it actually the motion of the ride that makes you feel sick? I’ve been on the Simpsons ride in CA and it did make me feel queasy but I could close my eyes and I would be fine. We’re going to FL next month and I was hoping to see all of the Harry Potter attractions but I get motion sickness from spinning rides. Just wondering if I could ride Forbidden Journey and close my eyes if necessary. It is similar to spiderman in that it has a screen and then you move to another screen, but only 4 people sit in a row and you get harnessed in like your going on a roller coaster that goes upside down and you move around a lot. Simpsons ride is nothing compared to this. It’s totally worth riding 1 time and getting sick though. The first time I went on we had a rather horrifying experience with my grandmother throwing up while on the ride. She has stomach problems medically though, and in retrospect she says she didn’t do much to avoid it. My mother, who is very prone to motion sickness, was fine as were the rest of the family. I love how you equate many things with Disney World. I’ve done Disney dozens of times, but my husband and I are planning a 5 day trip just to Universal this time. We are staying at Royal Pacific, so we will have the priority seating at table service restaurants. Should I still make reservations for table service? I’m so used to making Disney dining reservations 180 days prior to the trip! Thanks so much for this information! We recently made our first (very well planned thanks to your tips) Disney World trip & will be back soon. We wanted to fit in some time at Universal too and your article gave me all the information I was looking for to begin planning. You are awesome… Keep up the great work!! HI – Thank you for this great info. Our family of 4 are thinking of travelling to US to spend the day at Islands of Adventure to visit Hogwarts and try out the coasters. We only have Sunday though. Any suggestions? Thanks to all. Thank you so much for doing this!!! I was hoping that you would update your Universal info for my trip this June and my wish was granted! Thanks for all your hard work! I’ve read that the Express passes can not be used for Harry Potter-did I read this wrong? Express Passes cannot be used on Harry Potter and the Forbidden Journey. I’m not sure about the new ride in Diagon Alley. No Express Passes on Gringotts either. I recommend doing Harry Potter attractions at park opening or in the single rider line. What exactly is a single rider line and how does it work? Nice work, Shannon! What a great overview! I’ll make sure to have this handy when we return to Universal. And if I have my way, it will be in 2016 🙂 Thanks so much! Having just come back from doing both Disney and Universal I think you’ve got this post spot on. I think even more so than Disney, I cannot advocate enough for getting to the parks early and doing Harry Potter rides ASAP. We were there at off peak but later in day lines were in excess of 80 minutes. Same goes for Minion Mayhem. Oh and if able take advantage of single rider lines. Hubbie and I did this and walked on to many rides and rarely waited longer than 10 minutes. I like to stay at universal the whole trip and then go to disney 3 days. The universal hotels in my opinion offer much more value and convenience. Hi Shannon, you said that you wouldn’t do Disney on-site followed by 3 days of US on-site again and suggested alternatives but didn’t explain why? Can you please elaborate on why you’d recommend US first on-site or staying at Disney the whole time and driving over? Also, being that this was written before the entire second Harry Potter section was opened which pretty much everyone says has upped the US experience dramatically how does that factor in? Thanks for any insights you can offer! In my experience the level of service is just not the same at US. Say what you will about Disney declining over the years–they are still #1 in the guest experience (cleanliness, treatment of customer, etc). You will likely be disappointed if you go from Disney to US! Have you personally used Dreams Unlimited for your tickets and transportation to Universal? I want to make sure I’m in for a smooth and easy experience with them and their transportation company. Thanks. We did the Dreams Unlimited ticket package from Old Key West. We were given a time in the morning we would be picked up and then the bus stopped at a few other hotels, then SeaWorld. The tickets were really vouchers so we didn’t get to the park until after 10 am then had to stand in line to actually get our tickets. /By the time we got to Hogwarts, lines were over an hour. I would not do this again. I would definitely have tickets in hand and get my own transportation so I could get to the parks as early as I wanted to! The price was good, but I didn’t like being on someone else’s schedule and not having my actual tickets in hand. Me and my fiance are thinking of doing Universal this year instead of Disney. Neither of us enjoy big roller coasters and do not ride them. We love smaller coasters with little drops such as big thunder mountain at disney. We also LOVE the visual rides like star track and soarin’ at Disney. Which rides would be best for us? Do you think we would need two days to got to both parks or would one be enough? Thanks! How would I have even begun to plan my visit to US without your blog. Thanks so much! I love the you provide ordered list of which rides to visit and in which order. I also appreciate knowing where to eat. I do have one question, can you tell me in the list of US rides and IOA where you would fit lunch in if you started at 9 am, doing one park a day. Thanks again for taking the time to write this blog and answer all the questions. I am a Disney fan through and through, so I appreciate the comparisons. But I have a question: What are the rides that someone with a sensitive back (disc problems–he had trouble on Triceratops Spin to give you an idea) can ride? Could someone make me a list of non-jerky, smooth, non-coaster, yet adult-geared attractions? Thanks!!! A lot of the US/IOA rides definitely require careful consideration for someone with a bad back. I had a spinal fusion on the L5/S1 in June 2012 and did WDW and Universal in December 2012. I had done a lot of work to improve my strength and was at the top end of the recovery scale and only had to avoid one ride (Dr. Doom’s Fearfall), but that was on the basis of how I had felt after attempting Tower of Terror a few days earlier. Many of the rides are jerky or have excessive movement. Men in Black and Hogwart’s Express would definitely be okay. Shrek 4D – ask for a seat that doesn’t move. I found the sudden motion on this more trouble than any of the thrill rides! Disaster, Twister, Sinbad, Poseidon’s Fury have a lot of standing around, but nothing that will cause a problem for the back if you can handle standing. You can ask to do the castle tour at Forbidden Tour and not do the ride. This is a fantastic way to see all of the incredible detail in the queue and listen to all of the conversations between the paintings. When you get to the point where you would join the main ride queue you just say you were only doing the tour and they let you out through a separate door. There is certainly a lot to see and do between the two parks, but I suspect given the limitations you would probably get through everything that could be ridden within one day without issue. Hi. We are making a trip to WDW and possibly US/IOA. I have 2 teenagers and 1 who will be 10 and another who will be 8. Both my husband and I are not into intense rise. Roller coaster etc. so my question is , is US/IOA worth going to if you are not going on any intense rides and if you aren’t do you really need 2 days to see birth parks ? I’d hate to purchase 2 days and not want to go back after 1 day because that would give us more time at WDW. If you can either stay on-site, or get the Express Pass, I find it much easier to do things in one day. We were there for the first summer of the original Harry Potter “world” and we would have spent SO MUCH more time in line for other attractions if we did not have the express passes. Having said all of that–if your children REALLY do not like thrilling rides…..it may be a waste of time. If it is just you and your husband that do not like thrills, there are plenty of other things to do while your children do the “scarier” things. But I honestly do not think most of the rides are worse than Space Mountain or Big Thunder. Some of them seem scarier at first, but most are much smoother! Rip Ride Rocket is actually one of my favorite rides……and I DO NOT like big drops in roller coasters! We have spent many days at theses parks without riding the BIG Thrill rides (Rip Ride Rocket (I rode it for the first time last trip), Hulk, Dr Doom (which I still will not ride), and Dueling Dragons)). In fact, we even enjoyed it when our children were young (like 4 and 6) and were unable to ride the larger rides. We like to do one park in the morning, visit a restaurant in City Walk for lunch then do the other park in the afternoon. That gives us a nice break with sit down service, plus we enjoy the restaurant choices. Wow their resorts actually look really nice! I did Universal late night for a private work event this Jan… went on a few rides. The Mummy Coaster was BY FAR my favorite. I did the motion rides (reluctantly) and enjoyed them and didn’t get as motion sick as I thought I might. I may even have the courage to try Star Tours again sometime (loved it as a kid, started getting sick on it as an adult…). Great article, just wondering would you recommend renting a car, we are going in October for a week and are doing WDW and US, not sure if taking shuttles/cabs the whole trip would save money? If you are doing a package at one of the US hotels, I highly recommend doing Disney first and then doing US. I recommend this to my clients (I’m a Disney travel agent) because you can include a transfer from Disney to US in your package! Since Shannon isn’t a travel agent, she might not have known this, but I set up these packages for my clients all the time. So much easier than trying to get transportation between the 2 resorts and then back to the airport from US. The transfer is around $35 per person. Would it make sense to take a 5 year old to US and see the kid stuff first, then take her to our hotel at Port Orleans with an in room sitter, then return to US to ride the stuff she couldn’t ride? It looks lie, the ones that should be done first are the more intense rides. What would be the best way to make it work with a five year old and a twelve year old? I would use the Rider Switch option there with the 5 year old. This may be a strange question; however … here goes. We’re returning to Disney in Jan of next year. When we were there in Feb of this year, we did one day at US / IOA… for next year, we’ve decided to do 2 days. While we have accommodations booked at Disney for the entire length of our stay, we’re planning to do US / IOA in the middle of our stay – and, staying overnight (as we’re not renting a car and if you consider purchasing the 2 day park to park tickets and express pass, as well as transportation to / from – it is actually a wash $ wise, so that is the route we are planning)… My question, as we will actually have one night where we have accommodations at both Disney and one of the universal studios hotels, will that present any issues? I mean, will Disney have any issues with us not sleeping in our (paid for) room one night… I guess that sounds completely silly – but, for some reason it has me thinking… thanks!! No, you’ll be fine. You paid for the room and can use it whenever you’d like during that time. We went to Disney for a week and then took one day in the middle of our trip for Universal. We took a cab there and back. My daughter loves Harry Potter so that’s why we went. Harry Potter World was awesome. We went at off peak time and there were no lines so that was a plus. The Forbidden Journey was great, but if you suffer for motion sickness you will have a problem with this ride. The theming is great. Can’t wait for the expansion! Love this article! But still have a few questions! Planning our first trip to Disney the first week of December 2014. 2 adults and 2 kids : 13 and 8 (my 8 yr old is 48″ and will not be able to ride everything but is very into Transformers and Harry potter). 1st we will have 7 days to do parks and I can’t decide whether to do 5 days at WDW and 2 days at US or 6 days at WDW and 1 day at US?! 2nd it is cheaper to do 2 days at US (w park to park tickets but no express pass) than doing 1 day at US with express pass?! Which would you recommend?? 2 days with no express pass or 1 day with?! Going in December is express pass really worth the money? Do you recommend the park to park option? 3rd I saw in the other comments a mention of transportation through Mears. Is this how you would recommend getting from WDW to US. I was thinking of a taxi?! I’m obviously completely out if the loop?! Sorry for all the questions, but thank you for all of your help! My family and I go to US and IOA every spring. Actually going in 3 weeks. With the 7 days that you have planned out take at least 2 days for US and IOA. It will make the trip worth it a lot more. And yes get express passes. I have always gone to Disney. Decided to add Universal this time. This guide was a big help. Thanks. My family will be spending a day or so at US just prior to a week in WDW in January. I am a Harry Potter fan, but am anxious about whether or not I can “take” The Forbidden Journey; I don’t do coasters or things like Twilight Zone Tower of Terror, but have done simulators before, with mixed results. Is there any kind of video preview of the ride that would help me make up my mind? I surely don’t want to miss it! When we moved away from Florida, we would take a Disney trip once a year, but that was it. Now that we live down here, we got a few passes to Universal, and are really enjoying the parks! It was fun hearing your opinions! Though two questions, are Despicable Me and Transformers worth the long lines, and will you ever go to Seaworld/Busch Gardens? I love your blogs, keep up the good work! I’ve actually been to Universal more times than I have been to Disney. Disney is still my favorite because it has a better atmosphere. I still remember when the Harry Potter World was just a medieval area. My only comment is that Universal rides break down a lot. That is one of the main things that I wish would get fixed. Do Universal have complimentary ride to the airport like wdw if you stay on site. They don’t have a free shuttle. You can pay for a Mears shuttle to transport you. We’re planning to visit Disney this February for the Princess Half Marathon and I was wondering about Universal, too. We went about two years ago for Thanksgiving and I really liked it, especially the Dr. Suess area and Harry Potter World! I’m a huge HP fan, and it was right after HP World opened, so we spent a lot of time in lines for the shops (only ended up riding 1 ride in HP world) but still so worth it because the scenery was just AMAZING. This article is exactly what I’ve been looking for for days. I’ve been to Disney World 10 or so times, mostly for jump rope competitions and this year we’re doing a competition in Orlando but the team decided to do universal as a group since we’ve done Disney so much. I’ve never been to Universal and trying to figure it out has been driving me crazy. 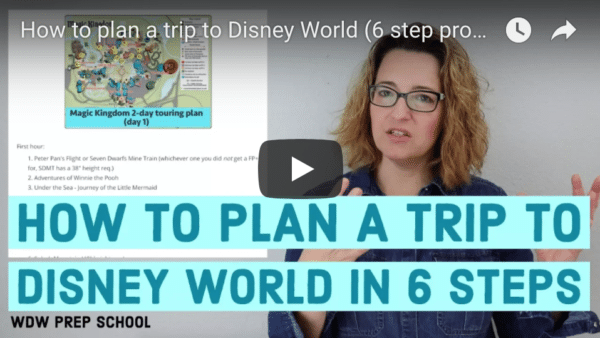 Your comparisons to Disney World have made it much easier for me to plan our trip and what to expect from the attractions. Thank you! We did Universal in the middle of our WDW trip last year in late May (we are star wars geeks :). The biggest trouble was getting 6 people to US, as the one thing WDW CMs are NOT good at is helping you go offsite! Settled on a Mears bus, which picked us up in front of our lobby. The parking was pretty far away from the park entrance (we had to cross citywalk) but acceptable. 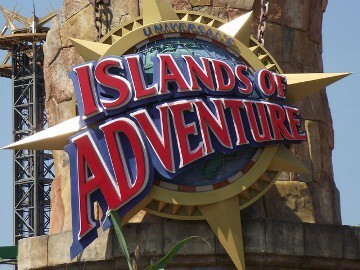 We only purchased one day ticket (mostly interested in HP) so we only did IOA. LOVED HP, we rode it 3 times easily and could have ridden several more if our tummies could have handled it. It’s amazing, but tough on the stomach! We finished all we wanted to do by noon. It got hot! in the afternoon, like HS there’s a lot of concrete at IOA which makes you feel like you are in an oven, I can do a 100 day at AK much easier than a 90 day at HS! Next trip that includes US (not likely until the HP expansion) will like include the 2/park one day ticket since, as I understand it, the US park will have some HP stuff. Great info! We have been considering going to Universal the next time we go to Disney and this was just the info we needed. Hi and thanks for the review! I’ve been enjoying reading up on all your WDW tips over the past few months and I was interested to see what you thought of Universal. Sounds like your thoughts were pretty similar to my own! We went to Magic Kingdom for 2 days, Animal Kingdom for 1 day and Islands of Adventure for 1 day. We stayed onsite at Disney World (Art of Animation). LOVED Disney and can’t wait to get back. But I have no desire to go back to Islands of Adventure. I mostly wanted to see the Harry Potter world, but it was so small, hot and crowded. I wasn’t riding rides (6 months pregnant) but my husband and brother rode. While there, most all of the rides were shut down due to lightning (which we never saw) and it made touring very difficult. Thankfully we knocked out all the major coasters first thing and could spend the rest of the day doing whatever. Mythos was good! So many high school students. Staff was busy and not super nice. You definitely need to do EPCOT next time! I’d rank Universal theme parks higher than Hollywood Studios (though there are a few awesome things at HS that I love doing every trip) but the other 3 WDW parks higher than that. It’ll be interesting to see what you think after you have a chance to visit the rest of WDW. Well, I think you should first check out the height requirements to see how many rides your 6-year-old can ride. Secondly, I think you should look at the ride descriptions since I compare most of them to WDW rides. If your youngest can handle similar rides at WDW, he/she will probably like Universal. My son is 11 and did all but 2 rides but that’s only because he’s kind of random (he rides Rock N Roller Coaster but wouldn’t ride The Hulk coaster – both pretty intense but he just makes random judgments like that). You have literally THE BEST, most comprehensive Disney related website I have visited. I greatly appreciate your experience and advice. I am headed on my 6th Disney trip next year, my 3rd within the past 5 years, and I am still finding such great advice on here! We will be travelling with my older children (aged 21 and 16-both boys) and my young children (who will be 4 and turning 3 on our trip-boy and the youngest is a girl) along with my parents. I look forward to continuing to pour over your previous posts as well as your new ones! Thanks, Jennifer! I appreciate you saying that. I like the ticket with transportation option! Didn’t know about that! Last time we went to WDW, we stayed all 7 nights at Saratoga Springs. Since we flew in, we had to rent a car for 1 day just so we could go to US. We are big Harry Potter fans and HAD to see The Wizarding World of Harry Potter, and (for the little ones) Suess Landing. We saw all we needed to see shortly after lunch time. We would have been finished sooner, but it took an hour just to do 1 ride that should have only taken 15 minutes. There was no line, but when we walked up they put up a rope and said it would be back ontrack in a few minutes. That few minutes ended up being an hour. Ater that, we decided to go ahead and leave that park. Nothing else really appealed to us and there was a storm moving in. Like you said…they just don’t have the magical appeal that Disney does. Next time, however, we would like to visit Legoland if you have any tips on that!! Glad to hear how you worked Universal into your WDW trip. I think it makes sense for me to try to visit more things in Orlando but Legoland will probably never make sense for our family since it’s definitely geared toward younger kids. Maybe if I end up going with somebody that has little ones we’ll give it a try. We are diehard WDW fans and decided to visit LEGOLAND last November. We were very disappointed, including our 3 lego loving kids, aged 8, 5 and 3. Part of our disappointment may have been because we saved LEGOLAND for the last day after going to all the Disney parks. We want to go to Universal on our next trip, but will be going in the beginning of our trip, before Disney. We’ll usually visit Universal Studios every third Disney trip to see what’s new. Personally I don’t like US too much because most of the rides are motion simulators, which make me sick. So, we do both parks in 1 day, doing the stuff I can do/enjoy, and then my husband will go back for a second day for all the crazy roller coasters and motion rides, while I’ll do my own thing. One trip he did US and I did the behind-the-scenes tour at Disney that does 3 of the 4 parks – it was amazing! That sounds like a good pace – every 3rd trip (except I’ve been 3 times this year so I might have to space it out more ;)). Does Forbidden Journey bother you? That was way worse for us than anything at US. Very easy to do both Universal parks in one day. Just start as soon as Universal opens and you’ll find you’ve finished both parks by mid to late afternoon — especially if you’re alone or just a couple of adults. If you’ve got young kids with you, that may slow you down a bit, but not much since little tots aren’t going to go on most of the scary, thrill rides anyway. Coming into Orlando in Novemeber, 5 adults and we have pre purched a 1 day 1 park ticket for Universal and renting a car to drive down from Disney. We were hoping to fill a day at Islands of Adventure only. Is there enough to fill the day at IoA and can we go to City Walk as well like we go to Downtown Disney or is that a seperate ticket? Not sure that in November we will require an Express Pass for November 13th? Thoughts…. Love your blog and updates, so informative. When going to Universal we get package deal. Its good for both parks, Sea World, the water parks, and Busch Gardens. Also Sea World has a new water park now. The hotels have buses that take you there. This gives us lot to to do and places to go. We stayed for a week. Going to Disney -World in September. Waiting to go back to Universal in 2014. Can’t wait for the new park with Harry Potter. The fast pass is the way to go. It’s not fair to compare Universal and DisneyWorld. They are both different. CityWalk isn’t a separate ticket. You can go there as easily as Downtown Disney. My husband and I went to WDW in Sept 2011 and spent our first full day in the area at Universal. We used Mears transportation and they picked us up at Coronado Springs where we were staying and dropped us off at the bus depot near City Walk. We were able to to both Universal Studios and Islands of Adventure in one day. The highlight was definitely the Wizarding World of Harry Potter and we were able to ride the classic Jaws ride that closed not too long after we were there. I don’t remember being overly impressed with the parks. The rest of the week we spent in Disney (which was my first trip there) and it definitely blow the socks off Universal. I would like to go back to Universal after they finish the expansion of Harry Potter, but only for that reason. Thanks for sharing your experience, Kati. The tickets I linked to above include transportation and it’s done by Mears as well. I do think if people are new to both Universal and WDW they should do Universal first. Doing it the other way may lead to some disappointment. My 8 year old son and I will be going to Disney World for a week in August and I was planning on spending part of a day at Universal. He’s really into Harry Potter now and I wanted to surprise him with that but I really don’t think we could spend a whole day there. Not enough about Universal really interests me enough to keep me away from Disney World for a whole day. I’m really hoping to get in and out of Universal in 5-6 hours so we can get back to Disney. Is that doable? The line for Forbidden Journey grows faster than anything I’ve ever seen at Disney World. Just be prepared for that. 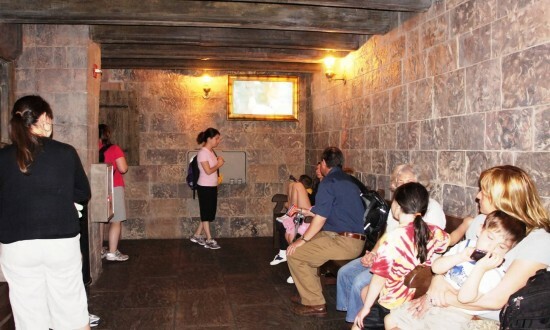 Are you wanting to just do Islands of Adventure (where Harry Potter is)? If so, 5-6 hours is doable. It would be a pretty short time to do both parks. Yes I was just planning on doing Islands of Adventure. I was planning on 5-6 hours. I want to get there right before they open so we can rush to Forbidden Journey and do that first. And of course we have to do some shopping in Diagon Alley. But ideally we would be back at Disney World by 3pm and still have our evening to go to whichever park has extra magic hours that night. I think that’s a good plan! Do you usually go with a touring plan to make sure you can fit it all in? You must have had some slow days Shannon, because there is no way we could have done both parks in a half-day each. We were there in May for 2 days and still missed a few of the minor things. Also, the Express Pass was very useful for us, allowing us to almost walk on all rides within a few minutes. It was very hard to wait in Disney lines after experiencing Universal’s express pass. I would highly recommend them when visiting dury busy times. My older children greatly enjoyed these parks with their thrill rides and fun character meet and greets, and we all agree they are completely different from Disney World, but in a good way. I agree with Lisa. We were there just a week before you Shannon, and the Express Pass was invaluable! We were able to do every single thing in both parks in 2.5 days because of the Express Passes and we got to ride our favorites multiple times! Mummy is my favorite, with Rip, Ride, Rock-it coming in second, at Universal, and Forbidden Journey at IOA. We tend to stay at the on-site hotels at Universal first, and then move to WDW where we feel more at home in our DVC accommodations. Walking from the Pacific Royal is very easy, walking from Portofino Bay and Hard Rock are a little farther out, but still doable, unless you have blisters or have to carry children. I did feel like we were spoiled at Universal with the Express Passes. Well, it did help us on a few rides (the big coasters and Spider-Man) but that’s because we didn’t have a touring plan. All other rides had the same wait in the Express Pass line as the regular line. With a touring plan, people not using Express Passes could easily have a similar experience. Thanks for the report! My husband and I are planning a trip to Disney world and I was really curious about doing Universal also. I haven’t found as much info about Universal as I have about Disney. Your report is very helpful! I don’t think any destination has as much info as Disney World does which is always kind of frustrating when trying to research. Glad this was helpful to you! Can you do both sides of universal in one day? I was hoping to do Sea World on another day while staying at WDW. Well, we started Universal Studios around 3 p.m. on our arrival day and finished before it closed and we started Islands of Adventure when it opened and finished just after lunch. If the crowds are like when we were there, you could definitely do it in 1 day. You’d probably want to highlight the top things you’d want to do in each park (a shorter list than I’ve shown above) to make sure you had enough time for both. What time of year did you go? We are going in August and are not staying on site. Can we get through IOA in one day? Half a day? We just got back. We were there June 6-9. You can definitely do IoA in a day and maybe half day. People in the comment section have had differing views on how quick you can do each park but it’s definitely doable in a day no matter what time of year you visit. We are hoping to do both Universal Parks in one day. We are buying the park-to-park tickets (because riding the Hogwarts Express to the new Harry Potter/Diagon Alley attraction requires those). Our focus is going to be the Harry Potter areas of both parks, and really, the only other things in the parks we are going to do are the things that are friendly to smaller children (ours will be 3.5 and 7 at the time of the trip). Our rough plans is as follows (if anyone wants to see). Fingers crossed! Thanks for a great insite Shannon. I love the descriptions for the rides 😉 I am so excited to get to Orlando but still 10 months to wait. 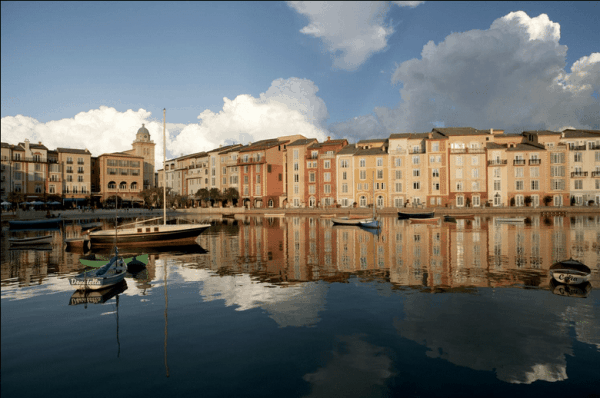 Do you know approx how many minutes the walk is from Hard Rock Hotel to US and IOA? Probably about 10-15 minutes. IoA is a bit of a walk for everybody regardless how they arrive since it’s tucked into the back of the resort area but it’s definitely easiest for those staying at the Hard Rock. Thank you for another brilliant update! We normally do both Universal and Disneyworld when we visit Orlando. Last time we came for 2 weeks and spent a total of 2 days at Universal. This year we’re visiting for 3 whole weeks and we’ve pencilled in 3days for Universal but I can’t see it’ll take us that long to do all the things we want to there. I love Universal and it’s got some awesome rides but Disney will always win hands down for me!